Although a general term used frequently in ordinary language, as well as legal and philosophical discourses, privacy remains an elusive notion. In modern legal discussions, it has been argued that privacy is an integral part of intimacy and autonomy, and goes to the essence of individual dignity, and thus ought to be protected through the creation of a sphere free from outside interference. This normative account of privacy, as Warren and Brandeis proposed in the late nineteenth century, provides moral grounds for the later development of privacy protection in American law. Such recognition of the private sphere, based on the public and private distinction, can be traced up to Aristotle’s distinction between the polis and oikos, which refers to a private domain consisting of the family household that can be thought separate from public interference. However, the question arises: is there an equivalent notion of privacy in the very different context of Chinese culture, and if so, to what extent is it valued and preserved? 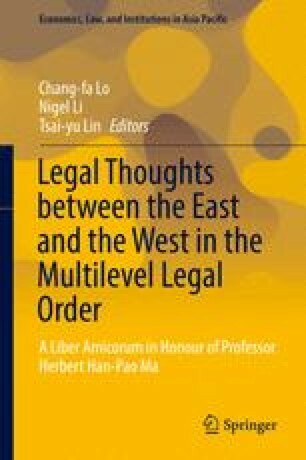 This chapter discusses the notion of privacy by digging into its rich genealogical origins in ancient Chinese and Western thoughts. This approach is intended to offer a comparative perspective for the analysis and re-examination of notions of privacy, and to further explore the consequential implications of the public/private binary in the later legal developments when privacy came gradually to be recognised not only as a value to be respected, but in modern legal discourses as a right to be protected.